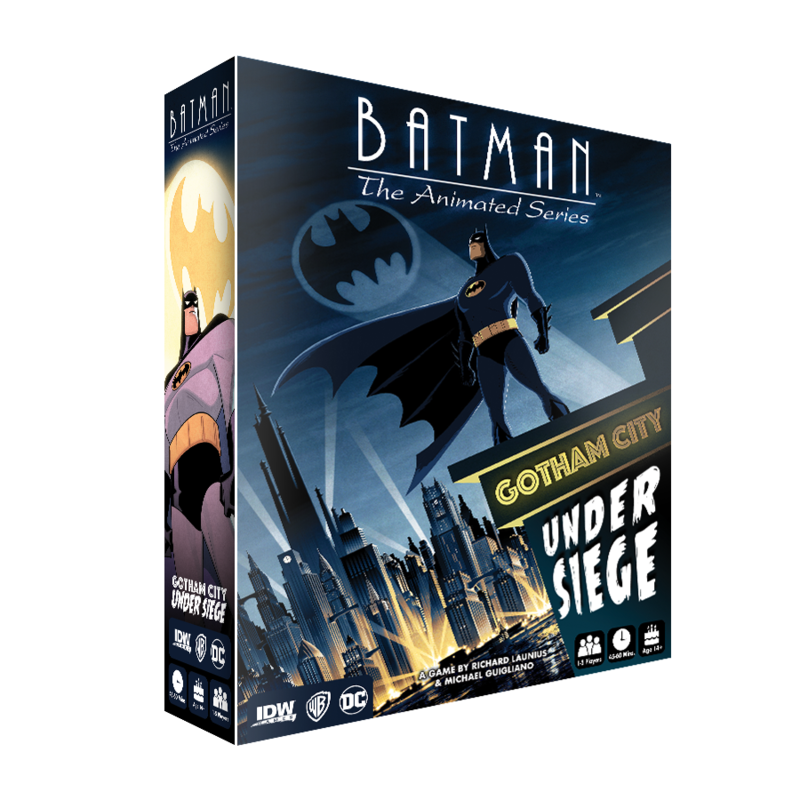 Batman: The Animated Series – Gotham City Under Siege is a cooperative game where each player takes on the role of a powerful hero and must battle against the multitude of villains threatening Gotham City. 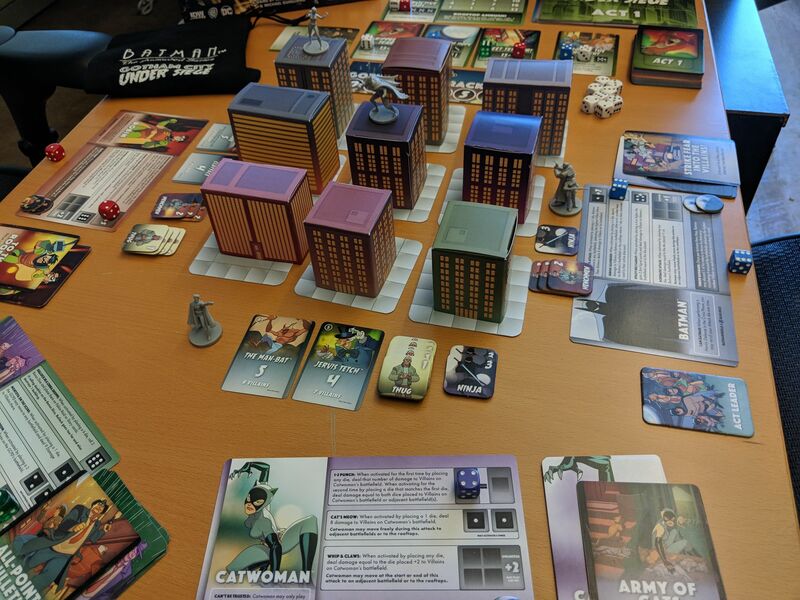 Each hero has their own skills and abilities in defense of the ever increasing threats to corrupt and leave Gotham City in ruins. 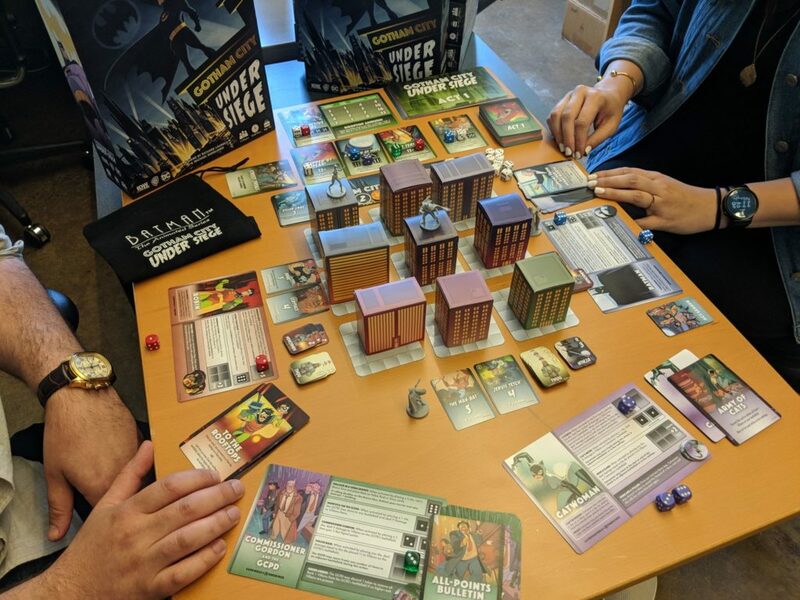 The players must work together as they move through the four Acts of the game, with each Act introducing new and more villainous threats to the city! 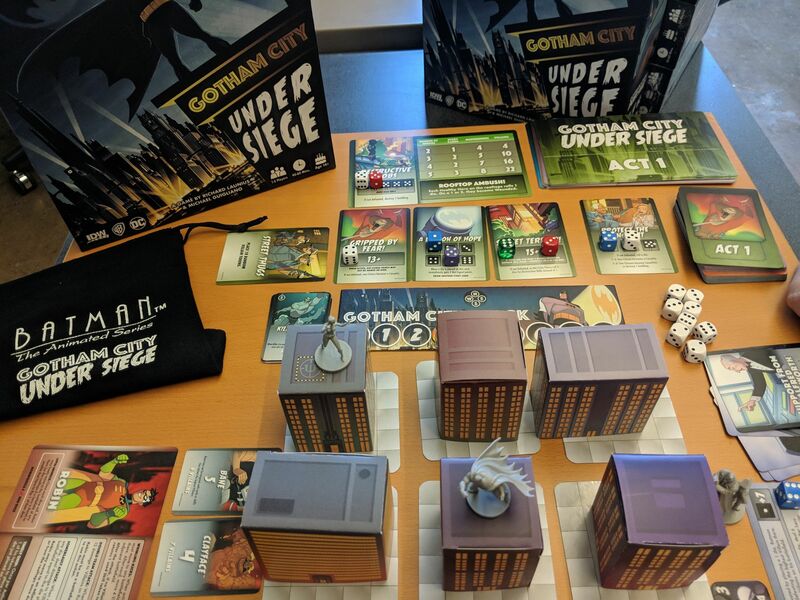 With Box Top cover art by Matt Ferguson, card art from TableTaffy and Leonardo Ito and miniatures sculpted by Brian Dugas, this Batman: The Animated Series game celebrates the classic cartoon series on the tabletop. 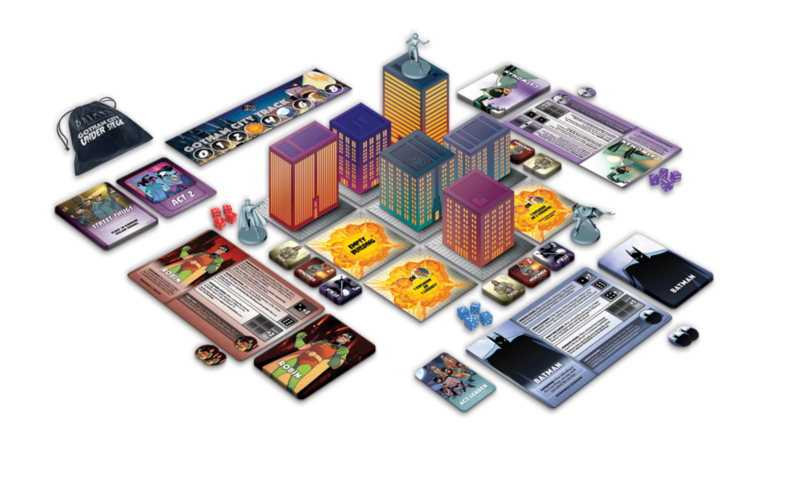 Releasing in September 2018. 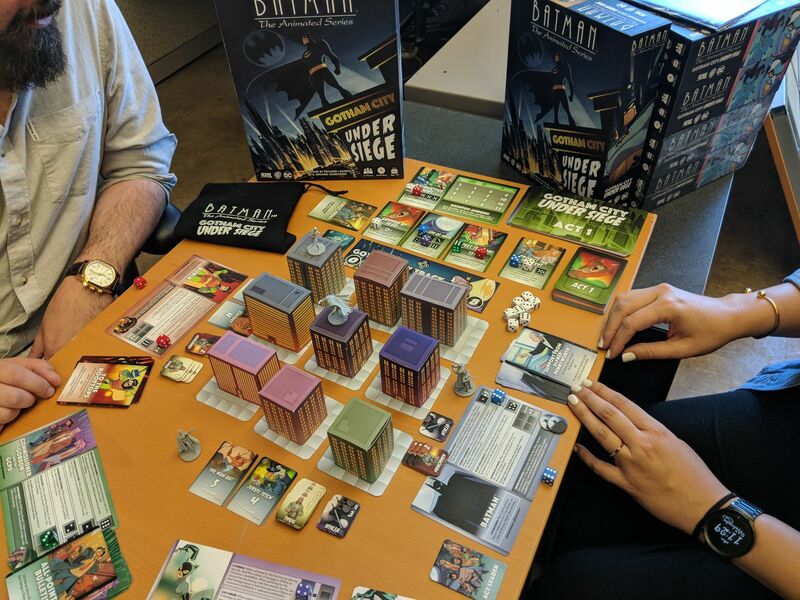 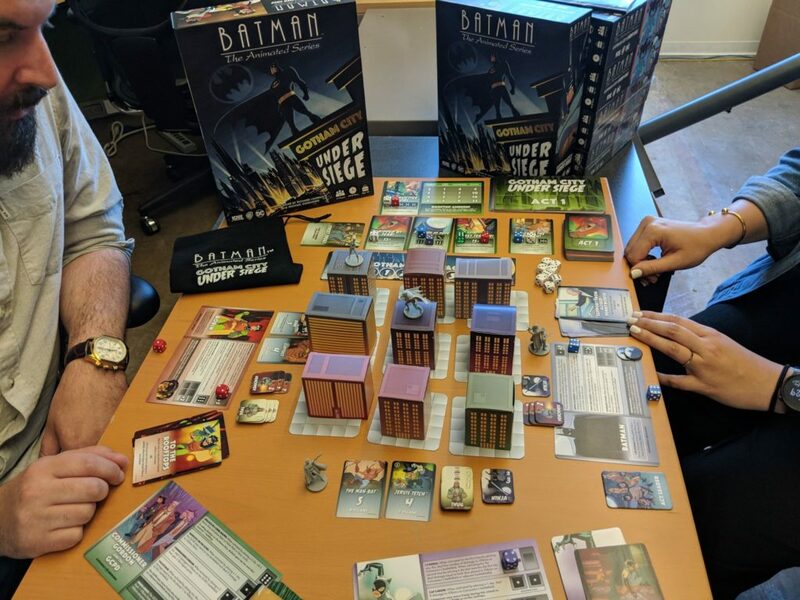 Gearing up for our first public showing of the board game at the IDW Publishing Booth #2743 at San Diego Comic-Con in just a few weeks, here is a first look at an early pre-production copy of Batman: The Animated Series – Gotham City Under Siege.